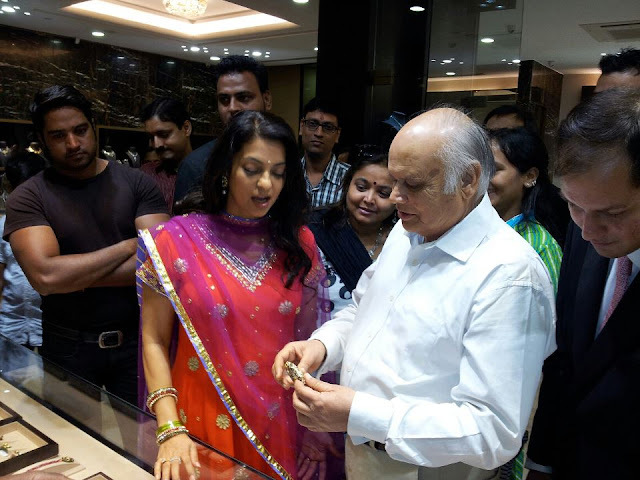 Suranas Jewelove launched a flagship store in Jaipur on October 24, 2012. Juhi Chawla graced the occasion with her presence. Prominent people from Jaipur, Delhi, Mumbai, Ajmer & various parts of the country were present at the occasion. Suranas Jewelove is a fine blend of tradition & modern thinking. The company has members of the renowned Surana family, former royal jewelers to the king of Jaipur & an IIT Kanpur graduate at its helm. The launch saw a magnificent collection of fine jewelry, ranging from vintage Kundan Meena jewelry, to modern Platinum Jewelry, including a wide array of Diamond Solitaires, Fine Diamond, Gold & Precious colorstone jewelry.